I just wanted to share my finished Dear Jane quilt with the world. It took me four years to make 115 Dear Jane blocks. 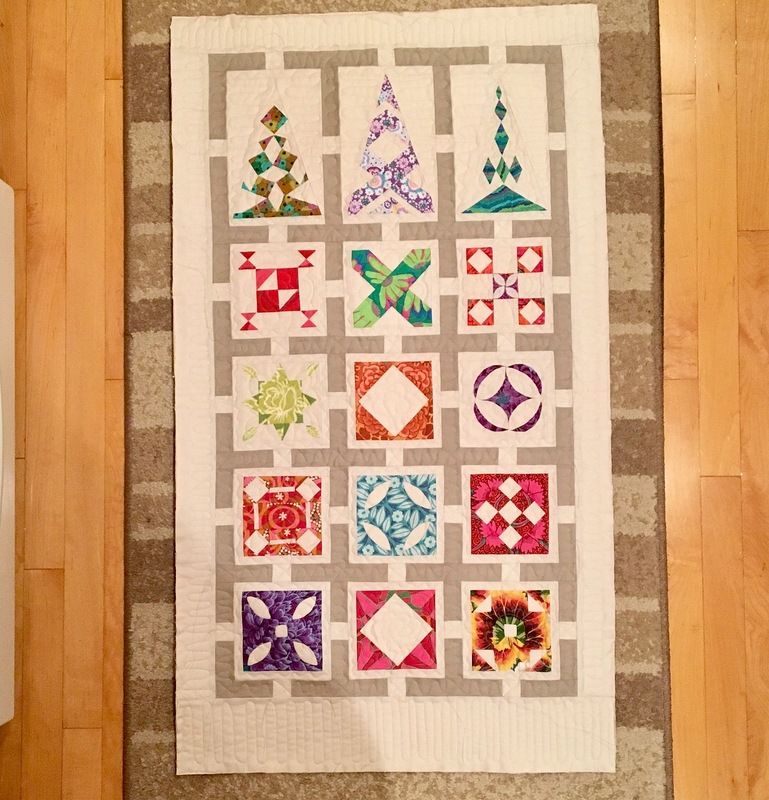 The group I was meeting with every month was talking about doing a show with our finished quilts. 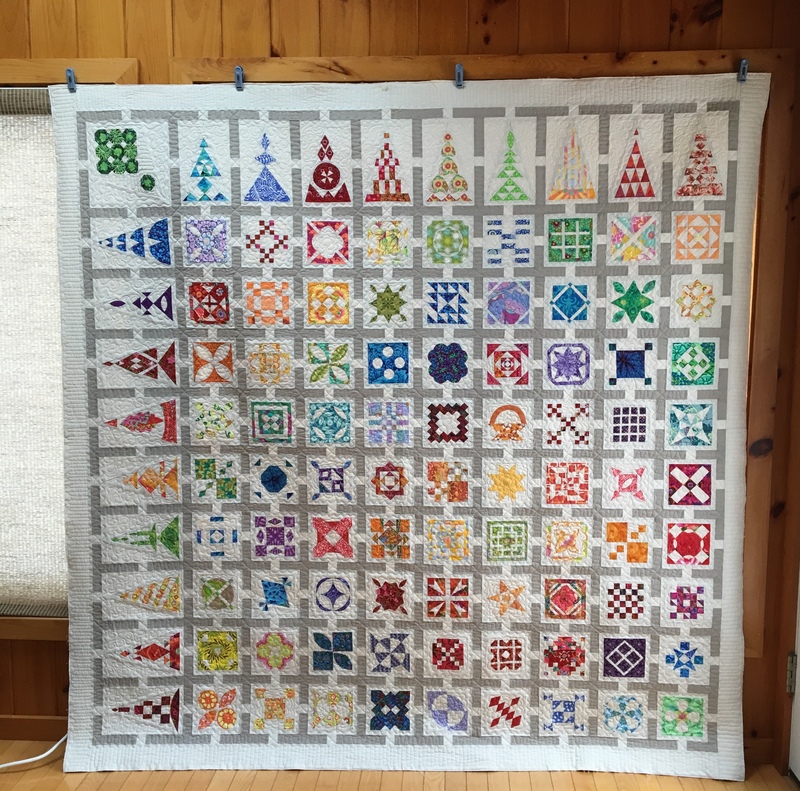 I really wanted to have a quilt ready for that but there was just no way that I was going to get another 110 blocks done in time!! Then I saw one of Tula Pink’s layout for her City Sampler quilt and I was completely inspired. Once I got the top put together I was happy, but, quickly became nervous with the though of quilting it. I had some ideas, but was not quite confident enough to dive in. I made a small Jane with my left over blocks and quilted it. I was pretty happy with the results, but waited until I had done some free motion quilting on a few other quilts before I was brave enough to quilt my Jane. Finally, almost one year later, I put the top on my longarm machine and just did it! I actually enjoyed the whole process. I was listening to some music while I quilted which put me in a great mood. Vertical Horizon and Mood Taxi were a couple of the artists that came up on a playlist that my husband had put together for me. So here is the almost final result taken before I put the binding on. 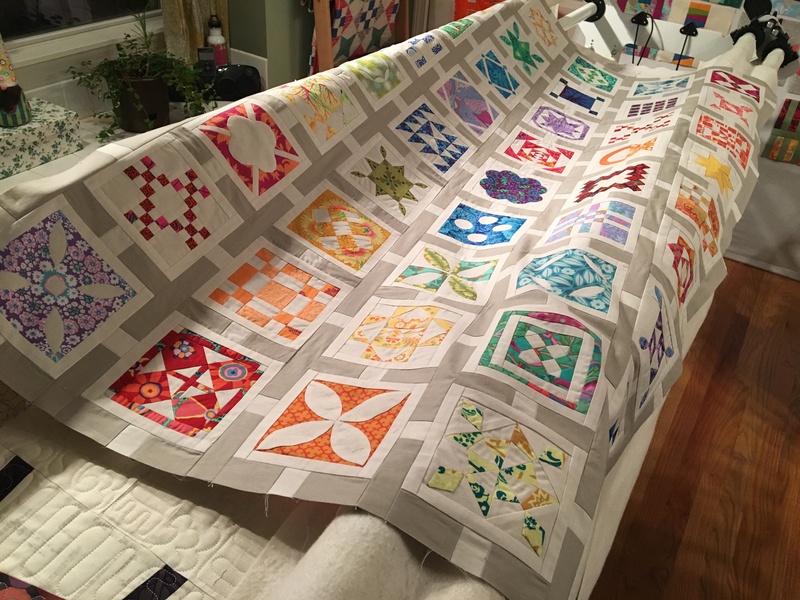 This entry was posted in Dear Jane, Quilts and tagged dear jane, longarm on July 31, 2018 by pmegio.